Ghuna Kumar, founder of Gospel Friends in India, attended Wesle y Seminary in Jackson, MS, and met Cecil Williamson shortly before his return to India to begin this work. CWM became his first financial partner, helping to support the 20 orphans and about 20 village evangelists that he worked with at that time. Since then, the work has grown to include over 200 orphans, 300 pastor/evangelists, over 1000 churches, a Bible college, nursing school, computer school, elementary school, and an annual VBS program with over 4000 children in attendance. 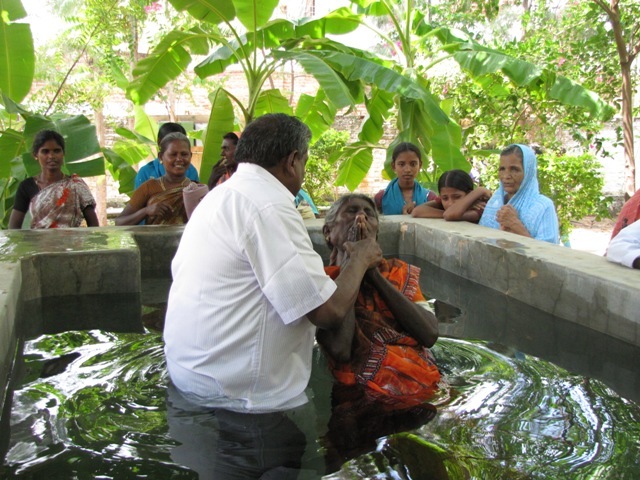 More than 40,000 people have been baptized as new Christians since Ghuna started Gospel Friends. We take a team to India at least once every two years to help with the VBS, lead women’s conventions, provide Christian worker training, and assist in medical clinics and local village evangelism. Click here to see and hear more of the sights and sounds of India. (Video) Lee Ann Williamson and Ghuna Kumar on American Family Radio’s Today’s Issues discussing CWM’s India outreach.